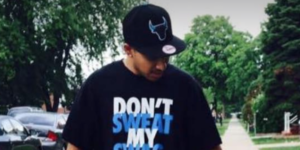 26-year-old Jonathan Gavina fatally shot in Chicago Lawn | Homicide Watch Chicago | Mark every death. Remember every victim. Follow every case. Jonathan Gavina was shot to death Tuesday afternoon in the Chicago Lawn neighborhood on the Southwest Side. Gavina, 26, was shot in the head and side and found in the driver’s seat of a parked sedan just before 1 p.m. in the 3400 block of West 61st Street, Chicago Police and the Cook County Medical Examiner’s Office said. A witness told investigators they saw a dark-colored SUV pull away after the shooting, police said. Gavina was pronounced dead at the scene, authorities said. He lived in the Archer Heights neighborhood.